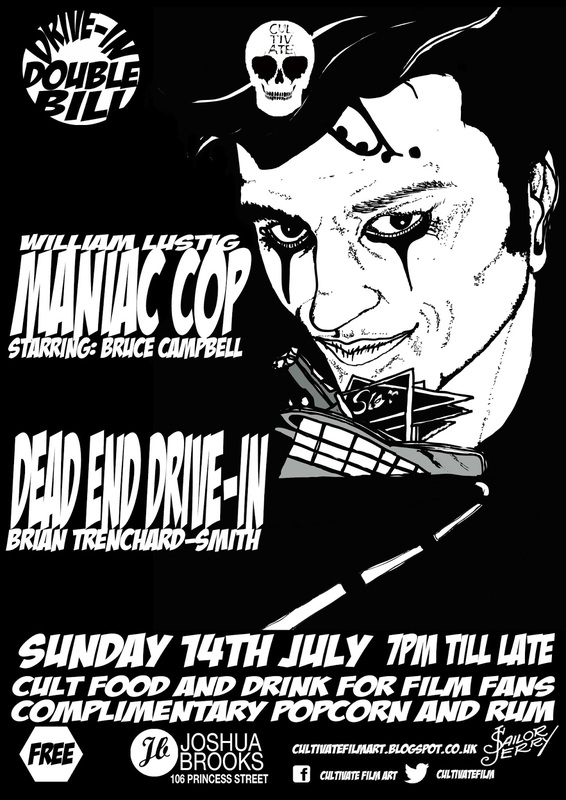 In this weeks double screening we take a trip into the near future with Brian Trenchard-Smith’s DEAD END DRIVE-IN, with an economy in free fall and with no sign of an upturn the social climate reached boiling point the only commodities left are cars and their parts. These cars were fought over by both salvage companies and street gangs, in a vain attempt to control the gangs and avert social collapse the government convert a chain of drive-in theatres into high security holding pens. In order to contain unemployed youth, gangs and anyone deemed undesirable by government services or a threat to public safety. The stark imagery of electrified fences and the security streamed s-roads policed by the not so straight police. This apocalyptic vision of the future is coupled with a new wave sound track gives a bleak view of what lies ahead. 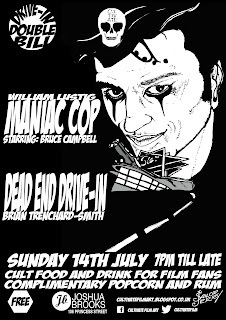 Next up MANIAC COP which needs no introduction starring the king of the B-Movie Bruce Campbell this cheese fest does what it says on the tin and in doing so turned MANIAC COP into a cult viewing must with cameos from JAKE LAMOTTA and SAM RAIMI, not forgetting ROBERT Z’DAR he of TANGO AND CASH fame. So leave you brain at the door and enjoy the ride. 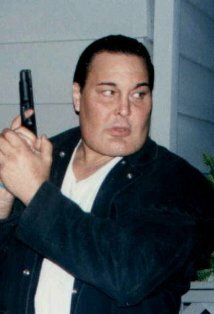 POINTLESS FACT FROM DEAD END DRIVE-IN: Stuntman Guy Norris set a world record for the longest jump by a truck, with a massive jump of 162 feet.